We already know that a new trailer for The Dark Knight Rises will premiere before The Avengers when the superhero ensemble hits the big screen this weekend. What we didn't know was that a viral campaign would tease the trailer this week leading up to its release online. 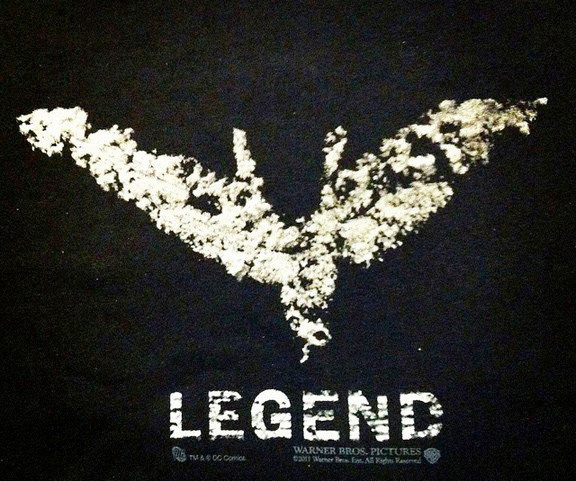 At the official website for the movie, TheDarkKnightRises.com, a manhunt is currently ongoing for the masked vigilante known as Batman as he is being blamed for the deaths of several police officers and District Attorney Harvey Dent. In the evidence file for the case, you'll find locations around the world that will help unlock something special. Within the case file, a list of locations (the addresses for the United States and Canada will be revealed at 8am PST today) will lead fans to some sort of graffiti (seen above) and the information needed to unlock some of the new snapshots of the trailer coming this week (basically it's a combination of the viral campaigns for both Super 8 and The Amazing Spider-Man). For the list of locations and details on what to do with the evidence when you find it, head on over to www.thedarkknightrises.com. In the meantime, see some of the screenshots already revealed below, and watch for the new ones being revealed all day at TDKR07202012.com. 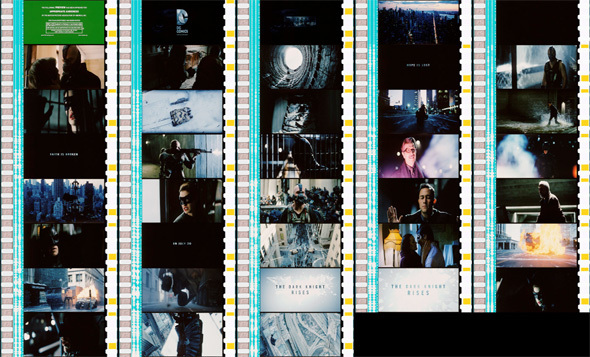 Stay tuned as the brand new trailer for The Dark Knight Rises is coming soon. Haven't you seen the NBA commcericals where calling someone gay is not the right thing to do? But then again that commercial was pretty gay. Ha! Didn't play infront of Avengers over here in the UK :(...maybe that's what we get for having it released 2 weeks before you guys haha! Behind Prometheus this is it for me. I can't wait to see it and or this new trailer. Speaking of Avengers, what's this developing trend it seems with American movies being released abroad before state side? this is the most god-awful thing i've read in quite some time. Nolan is both British and American. He has dual citizenship. Jonathan Nolan has a Chicago accent. Why they insist on making this film outside of the US is beyond me. Uh, hasn't the film been filmed in NY and Pittsburgh? New Jersey too I think. They also shot in Los Angeles as well.